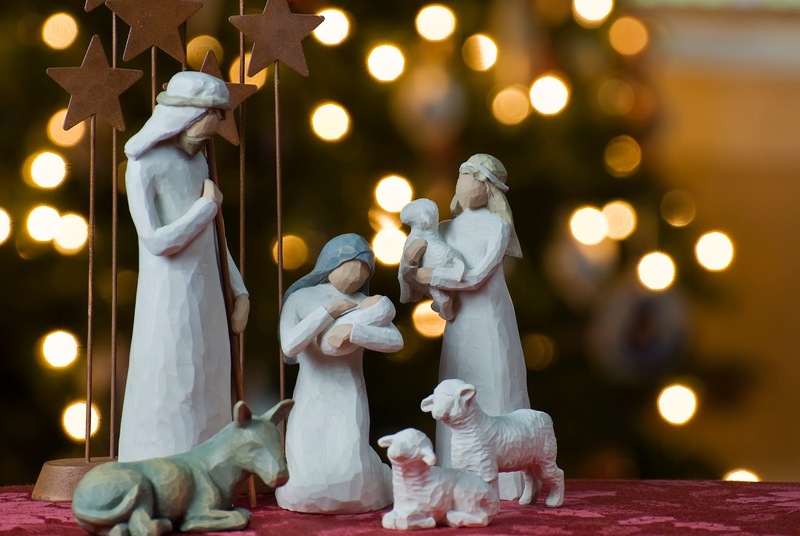 In the last couple of days, my wife and I have been sharing the Christmas story with the kids, as well as singing Christmas hymns with them on a daily basis. It's been an awesome experience. There's so much to talk about in the Christmas story that reducing Christmas to just another event in history or a national holiday would really be a shame! Talk about the angelic encounters. Think about the personal sacrifice of Mary (which lady would want her grand wedding cancelled?). Talk about the courage of Joseph (his friends must have thought he was either mad, or just plain stupid). Then, the wonderful shepherds who kept their flocks by night and who joined the Angels to sing, "Glory to God in the highest, peace and goodwill towards all men". Did you give some thoughts to the role played by the innkeeper (was he/she the one who eventually helped with the stable)?And the wise men (the Magis)? The Christmas story wouldn't be complete without them. Please permit me to beam the searchlight on the wise men this Christmas. Will you? The story of the wise men is a story that is shrouded in mystery. What we know about them is as much as what we don’t know about them. They seem to just show up mysteriously – and just as mysteriously they are gone. But one thing I am certain about is that the number of wise men and women increases in every generation as people continue to seek the Christ. Let me share with you 3 different lessons that we can glean from the story of these wisemen. What would prompt someone to leave the comfort of their homes to go on a dangerous journey? Romance? Maybe. Wealth? Most definitely. But faith? Hmmm – faith. “Where is He who has been born the King of the Jews?” What a probing question – there is no doubt in their language that He had been born – the question is “Where is He?” They had seen the star – the evidence was real – now where is He? They had faith that He was alive – that He existed – now all they needed to do was to find Him. Their purpose was established – find Him. And so they were willing to risk everything to find Him. They were willing to leave the safety of their homes, to risk a journey to seek a King. “Yes.” they would have replied. But you know they must have said the same things to Abraham when he left his home for the Promised Land. They must have said the same things to Noah who was building an ark – even though it had never rained in the history of the earth up till that point. They must have said the same kind of things to Peter, Andrew, John and James when they left the fishing nets to become fishers of men. What are you crazy? Are you insane? Are you out of your minds? No, not crazy – not insane – not out of their minds – they were men of faith. A wise man’s journey is one of WORSHIP. When the wise men came on their journey, it was for the purpose of worship. They were not looking for what to get, but what to give. Compare that with what happens in our churches today and you’d really wonder. These men simply wanted to offer themselves and their treasures to the King. They spontaneously bowed down and worshiped. There was nothing systemic about this worship. No music. No drums. No pianos. I am not sure there was any sound. Only real worship. May I ask you this question? When was the last time you truly worshiped Him? Their worship led them to give out of their treasures to their King. They gave very significant gifts. But there is more to worship than gold, frankincense and myrrh. Worship involves sacrifice and what better sacrifice to offer to the Lord than offering him yourself – your life. The wisest choice you could make, now or ever, is to follow the example of the Wise Men and worship the Lord Jesus Christ. Seek Him the way they sought Him. Bring to Him what they brought Him. Recognize who He is and say, "Lord, my wealth, my worship, my witness is yours. Jesus, You are Lord." A wise man’s journey is one of CHANGE. Isn’t it interesting that after they worshiped Jesus that they could not go back the same way that they had come? I find that to be a fact even today. Once you have met God you will never be the same. An encounter with God changes things – it changes you – doesn’t it? It’s always been that way. When the wisemen encountered Christ, they were changed. When we encounter Christ also, he changes us! He transforms our lives. That’s the beauty of this season – when God sent his son, in human flesh, to transform us from the kingdom of the devil, to the kingdom of God. May you experience this change. On behalf of myself, my wife and entire family, I wish you all a Merry Christmas, and a Happy New year ahead. Each time I read the parable of the talents (which we could call the parable of dollars in today’s language), I am always intrigued about its simplicity and completeness. That parable explains how God, the owner of all resources will want us to manage them. Let me start from the lesson I hope to close with – you own nothing! You are just a steward over whatever you have today. And you will give account of how well or otherwise you utilize these resources for the good of the owner (not your own good). Stewardship is the faithful and efficient management of property or resources belonging to another, in order to achieve the owners’ objectives! Please note the last phrase, “in order to achieve the owners’ objectives.” And if you are a student of the Bible, you will understand that God’s ultimate objective is to bring glory to Himself. The question is then, are you bringing glory to God with all the resources that He has blessed you with? Or is the glory to yourself, and all for your needs, your accounts and all? The best way to live life to fullest and be fulfilled is to deploy all the resources that God has placed in and around you, to the glory of His name, and for the “betterment” of mankind. You will need to utilize your time, your talents and your treasures for His glory, and His glory alone. This is one of the most important resources that God has blessed us with. Interestingly enough, it is also one of the most evenly distributed resources that we have. Every nation has 24 hours. Every individual, sinner or saint has 24 hours. You can’t buy more. You can’t bargain for more. Whatever you want to do must be done within the confines of these hours. Several people waste time, some others spend time, and only a few invest it. How do you spend this resource? Are you a good steward of it? What do you spend your best time doing? How much of it are you giving to God? How much of it are you giving to sleep? How much of it are you investing in personal development? How much is devoted to community service and to helping others? How much of it is spent in front of the TV and on the internet? Think about it. I would need another post to fully dissect this one. One thing is very clear – if you show me your cheque book, I can tell a lot about you. What you do with your money (or treasures) says a lot about you and your value system. Is God at the very center of it all? Do you give to God? Listen, that money you have is not really yours. It belongs to God. He is only putting it under your stewardship and I hope you see it that way. And He is putting it under your stewardship for a purpose – to bring glory to himself. I know you have bills to pay and all that. And for sure you should – as it brings glory to God to pay your bills also. The point here is this – who is first? God or your needs? When you learn to honour God with your treasures, He blesses the rest and multiples it. If you cannot give to God, and to His causes here on earth, then, you have missed the reason why God blessed you with money. You have missed it big time. God has deposited in you gifts, talents, abilities and skills. There is no one on earth who is not gifted in one special way or the other. Again, those special gifts and abilities are deposits from God. And they are to be used for His glory. If God has blessed with you a wonderful voice and you can sing, He expects that your voice and song should bring Him glory. If you are blessed with a special ability to organize, He expects that your ability will bring Him glory. You are a steward of these gifts and abilities, and the best way to deploy them will be for His glory. You’ll need to discover the special gifts of God in your life, you’ll then need to develop them, and deploy them as a good steward of His grace. God has placed enormous resources at your disposal. Don’t forget the primary reason why He’s done that. It is for His glory. When you bring Him glory by being a good steward of these resources, He sees to it that your life truly reflects glory. Wouldn’t you rather live that way?